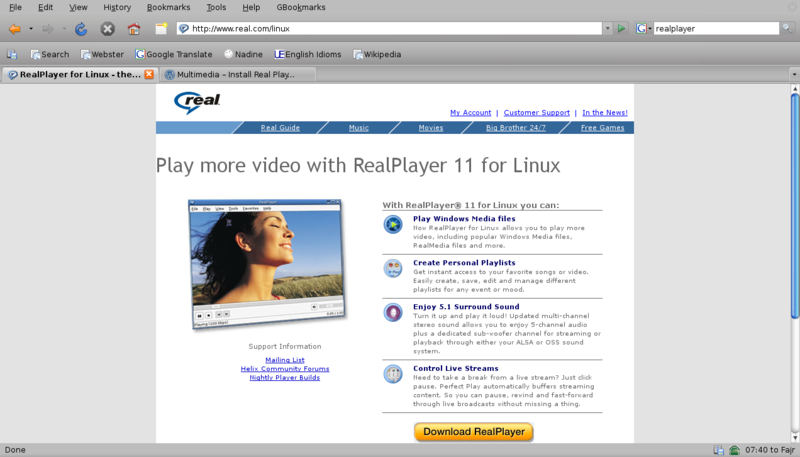 Real Player 11 for Linux is the latest version released for Linux. It comes with some new features. One of it is 5.1 surround sound. Real player claim that it has better sound compare to the last version. The installation is still the same with the old one. Just download directly from the website: www.real.com/linux. Below is the common error that I always have when I force my Firefox to close. You can’t fix it by log out from the system. You can only do 2 things, kill the Firefox process or restart your system. The second option will take a longer time, so let’s do the first one. Open your Linux terminal (Applications>Accessories>Terminal) then type: ps ax | grep firefox. You will see the PID number on the left side. PID is Program Identifier. The number can be different. Have to have stop the process by kill the PID one by one. Now, start your Firefox again. If you see the screen below mean the problem is fixed. What is bluesnarfer? It’s a tool to steal informations from a wireless device through a Bluetooth connection. The connection can be between mobile phones, PDAs or Laptops. You can access to a calendar, contact list, emails and text messages. Who is the creator? It’s Davide Del Vecchio (dante_at_alighieri.org) together with Roberto “boos” Martelloni. The they developed a Linux pof to bluesnarf (read/write/search/perform arbitrary command..). 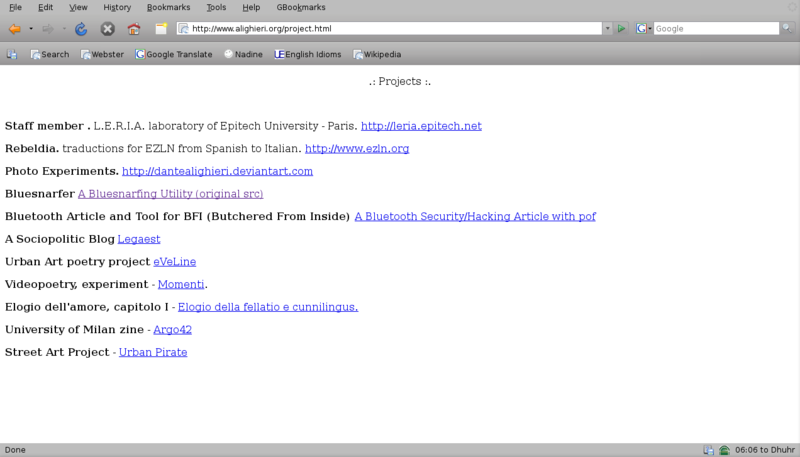 The tool was attached to an article (just Italian) published on the e-zine BFi. For your information, Bluesnarfing (stealing information with bluesnarfer) is illegal in many countries. Try it with your own risk. hddtemp is a utility to read the temperature of hard disk. It only works if the hard disk has a temperature sensor. hddtemp will read Self-Monitoring Analysis and Reporting Technology (S.M.A.R.T) information on your hard disk. hddtemp can work as simple command line tool or as a daemon. Before you start the installation process, make sure that you are connected to the internet. 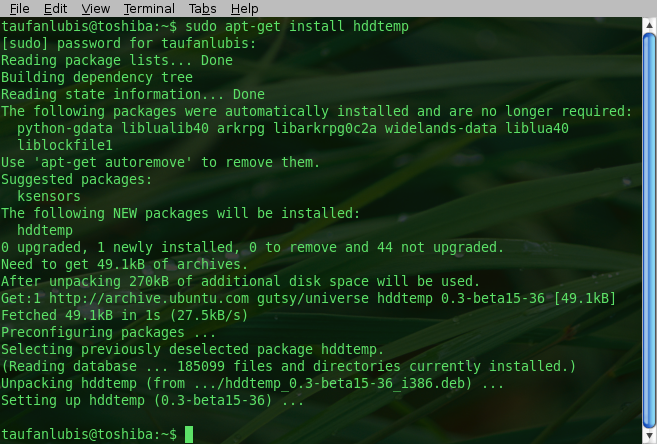 Open your Ubuntu Terminal (Applications > Accessories > Terminal), and type ‘sudo apt-get install hddtemp‘. If you iTunes from Mac then Banshee is iTunes in Linux. You will find very to import, manage, and play selections from your music collection. You can also import CDs, sync your music collection to an iPod, play music directly from an iPod, create playlists with songs from your library, and create audio and MP3 CDs from subsets of your library. 0 upgraded, 13 newly installed, 0 to remove and 49 not upgraded. Need to get 4505kB of archives. After unpacking 14.4MB of additional disk space will be used. Selecting previously deselected package libnjb5. Selecting previously deselected package boo. Selecting previously deselected package libsgutils1. Selecting previously deselected package libipoddevice0. Selecting previously deselected package libmono-cairo2.0-cil. 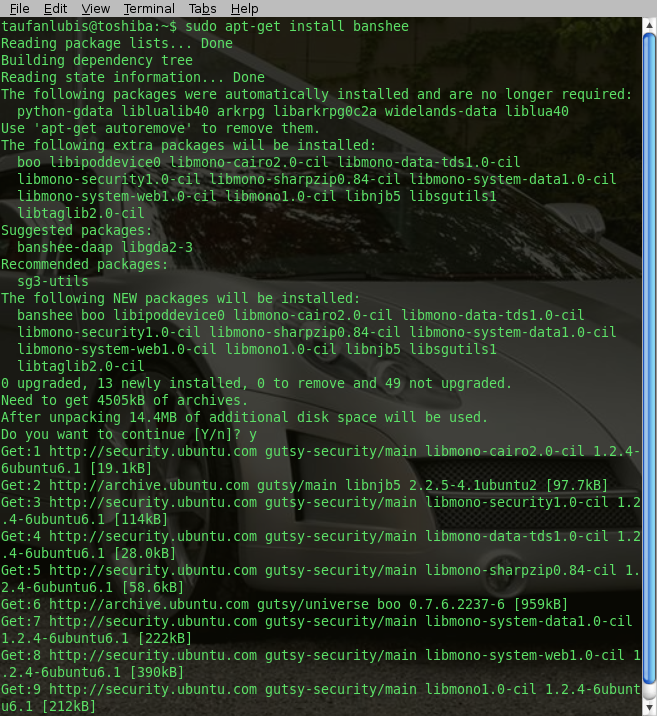 Selecting previously deselected package libmono-security1.0-cil. Selecting previously deselected package libmono-data-tds1.0-cil. Selecting previously deselected package libmono-sharpzip0.84-cil. Selecting previously deselected package libmono-system-data1.0-cil. Selecting previously deselected package libmono-system-web1.0-cil. Selecting previously deselected package libmono1.0-cil. Selecting previously deselected package libtaglib2.0-cil. Selecting previously deselected package banshee.